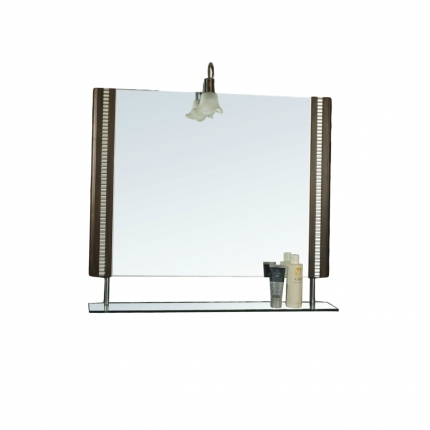 This rectangular frameless mirror is a useful and aesthetic addition to your bathroom. With two wooden panels on the side to add a modern design element, this mirror fits perfectly above any sink or counter. Also, providing you an extra shelf to store your products, this mirror has many uses.